Leopard Prince was shown when he was younger, now he attends to his stud duties. NZ Summerhill Leopard Prince has played a huge role in creating the foundation layer of our Leopard Appaloosa programme. Leopard Prince is homozygous for the Leopard Appaloosa gene. 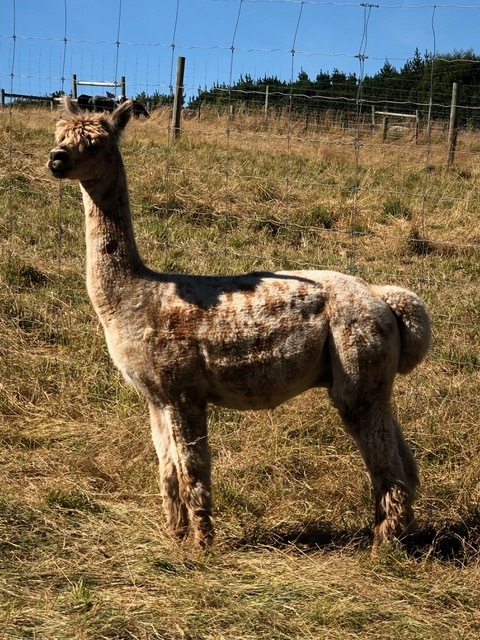 After endless university research, NZ Summerhill Alpacas has discovered ‘The Spot Gene‘ enabling us to have Leopard Prince blood tested resulting in the discovery of him being homozygous carrier of the spot gene. This meaning, any of NZ Summerhill Leopard Prince’s progeny he has produced have been a leopard appaloosa or an appaloosa colouration, no matter what colour the dam maybe. 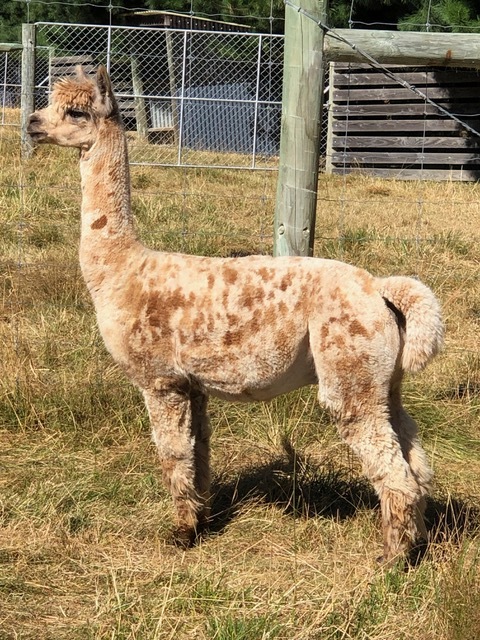 Leopard Prince in one season, produced 41 leopard appaloosa / appaloosa cria out of 43 cria on the ground, this making Leopard Prince 97% guarantee the resulting cria will contain spots, backing his homozygous status. Due to Leopard Prince being homozygous, all of Leopard Princes’s progeny have a very high chance of further producing more great coloured leopard appaloosa / appaloosa progeny of their own. Making any of Leopard Prince’s progeny a fantastic asset to any Leopard Appaloosa breading programme. Leopard Prince is a very macho true to type alpaca, with a fine and colourful fleece. Currently we have an array of NZ Summerhill Leopard Prince progeny for sale, enabling you a chance to get your hands on these elite leopard producing genetics for your breeding programme. Leopard Prince’s full family history can be found here.